WCBU is the public radio station licensed to Bradley University. 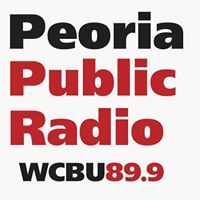 WCBU covers nearly 1 million residents of central Illinois, operating 24 hours a day with news programs from NPR, the BBC and Public Radio International; and entertainment programs such as Prairie Home Companion, Car Talk and others. WCBU2 is the station's HD service, offering classical music throughout the day. WCBU2 can be heard using HD radio receivers, or online at www.wcbufm.org. WCBU also operates a Radio Information Service (RIS) providing readings of local, state and national publications to hundreds of people in the coverage area who are blind, visually impaired, or otherwise print handicapped. WCBU is supported by the financial contributions of approximately 3,000 station members; underwriting from our corporate sponsors; and federal, state and city grants.